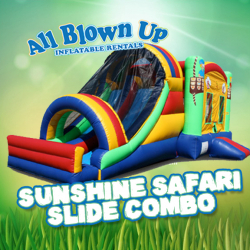 Our Sunshine Safari Slide Combo will brighten up any event. Kids will love playing in the bounce house and then racing down the slide! Available from Labor Day to Memorial Day.